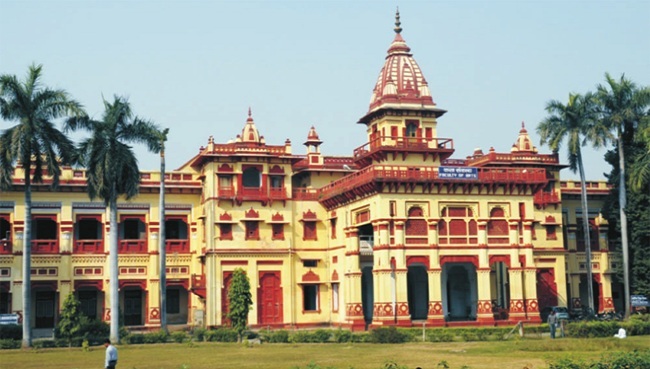 The Department Of Sanskrit was established in 1919 with the vision of preservation and enrlichment of oriental learning, culture, philoshopy and thought by virtue of deep studies and research of the both Vedic and Classical Sanskrit Literature. The vision represent the very insight and wisdom of the great founder of Banaras Hindu University Pandit Madanmohan Malviya. It includes teaching and research of traditional Sanskrit Texts covering various domains like the Vedas. Indian Philoshophy, Sanskrit grammar and Linguistics, Classical Sanskrit and Poetocs to focus on the thoughts of the both oriental and occidental thinkers to make this globe a place of happiness and co-existence. 1. To impart the knowledge of traditional text, thought, teaching and research. 2. To edit and publish unpublished Sanskrit text and criticisms. 3. To publish a Research Journal. 4. To conduct international and national seminars on various aspects of oriental learning and culture.